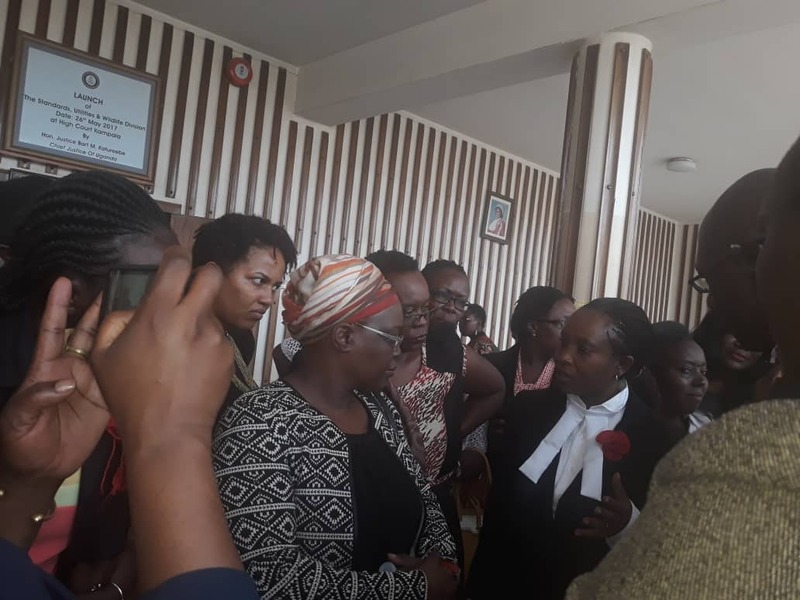 KAMPALA – Women activists have today flocked Buganda Road court to render support to the Kabarole District woman MP Sylvia Rwaboogo as she turned up to testify against her student stalker. 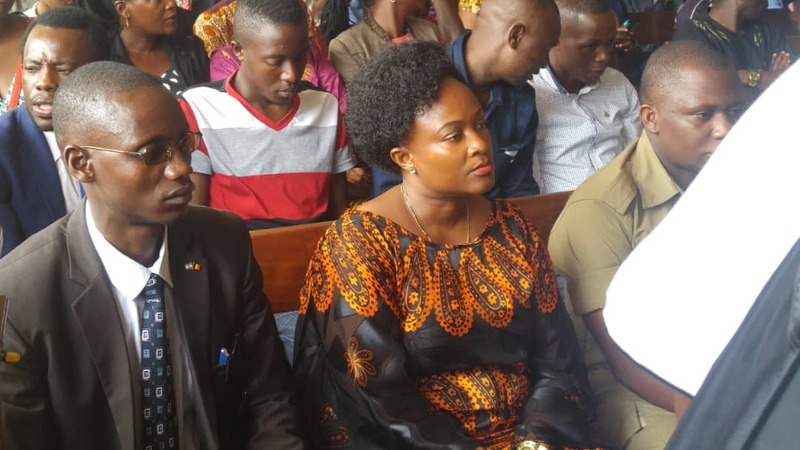 Rwabwoogo surrounded by many women appeared in court today in company with her bodyguard and her Lawyer Ladislous Rwakafuuzi for the hearing of her case in which she dragged a college student Brian Isiko for allegedly sending her love messages. However, the case did not take place after the grade one magistrate Ketty Acaa informing court that the magistrate handling the case is away attending a conference in Washington DC. The case has now been adjourned to November 23 for hearing. Isiko who is out on bail is battling 2 offences of cyber harassment and offensive communication in which it is alleged that he sent obscene and offensive messages to the MP. Its further alleged that Isiko lifted lyrics from songs and poems of International stars like Don Williams and Enrique which he repeatedly sent inform of short messages while expressing his love feelings to MP Rwaboogo.